We have mentioned before about the equipment you should have to start your YouTube video shooting , however, being methodical in your approach to the video making process and knowing exactly what and where you are going to stage and record will increase the quality of the content. Focus on the technical aspects of your YouTube video before you actually start shooting and strive to be well prepared for all the challenges a day on the set may bring. These and other useful tips may help you make better videos for your YouTube channel, so let's explore different ways of improving your video making skills. All videographers agree that you shouldn't come to the set unprepared. Everything has to be in its place, no matter how insignificant it may seem, because a tiny detail can completely ruin the shot or even an entire day of work. These tips are going to help you avoid common mistakes, inexperienced video producers often make. Everything starts with a script, at least in the cinematography world. You don't have to write long, detailed descriptions of all scenes, just make a short note of every scene, what is being said in the shot, on-screen actions, camera positions, and so on. By doing this, you'll save yourself a lot of valuable time, you can then dedicate to other burning issues on the set. Besides, knowing what you are going to say throughout the video so you don't have to improvise all the time is going to help you feel more relaxed in front of a camera. Don't leave anything to chance. You should control everything that is going to be in the shot, so avoid working at locations you can't at least partially control. Shooting in studio-like conditions will enable you to carefully select the scenography and to design light so it matches the scene perfectly. The actors must always be clearly visible to the audience, which is why you need to pay attention to where they are located in the shot and how much light you have in that part of the shot. 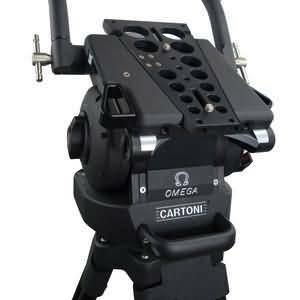 There is nothing more frustrating than arriving at the set anxious to start shooting just to find out that the batteries are empty. Charge the batteries at the end of each day on the set, because the chances are that you are going to need them early in the morning. Always have several spare batteries with you, so even if one battery is empty you have the replacement ready. You can also prolong the battery life by switching the camera off when you are not recording. Capturing audio with an external microphone drastically increases the quality of the sound in your videos. That's why making absolutely sure that all cables are connected and that the microphone is perfectly placed is paramount if you want to get the sound right. The host or the hosts of the video must be at the right distance from the microphone, usually, the length of their fist with the thumb and pinky finger extended, but this can vary a few inches to either side. The rule of thirds is a common composition principle used by videographers to create balanced and unified images. The rule suggests that the subjects in a shot should be placed at the intersections of the lines that divide the screen. Most digital cameras have a grid that makes using the rule of thirds quite simple because you can easily see when the subjects in the shot are not positioned correctly. This is just one of many shot composition techniques you have at your disposal, and as you gain more experience you'll learn how to combine them and get aesthetically pleasing results. Posting vertically oriented videos to your YouTube channel will make you look unprofessional because portrait mode is never used for capturing videos. YouTubers who record their videos with Smartphones are more likely to fall into this trap, but all you need to do to avoid this is remember to hold the device horizontally. By switching to portrait mode, you'll be cropping the frame in a way, so you might unknowingly end up removing parts of the shot you wanted to record. In case that you want to convert your portrait video to landscape, do not miss this article about How to Convert A Portrait Video to Landscape. Professional microphones can pick up even the softest sounds, that might prove difficult to remove in the post-production. You can reduce the noise levels in your videos by using shotgun microphones that only capture sounds that come directly into the microphone, or by using the omnidirectional mic to eliminate the wind if you're shooting on an outdoor location. Background noises can be particularly unpleasant when recording narration, because the viewers of the video may not want to watch it until the end if they can't hear what the person in the video is saying. If it is hard for you to record your YouTube video in quite environment, you can remove the background noise by using some video editing software. For YouTubers, we recommend you to try Wondershare Filmora to de-noise. Check the video below about how to remove background noise with one click. You can always keep the shot in focus by simply enabling the autofocus feature, but if you do so you won't be able to control where the focus is going to be. Pulling focus manually is an art that takes years to master, and you have to keep practicing it as much as you can in order to become good at it. The best way to deal with out of focus shots is to avoid shooting scenes that include a lot of action because you won't have to pull focus that often. The footage you produce should be smooth and free of camera shakes. All video cameras pick up vibrations easily, so even the slightest movement or impact can ruin a shot. Putting the camera on a tripod is one of the best ways to stabilize the shot and avoid camera shaking. In addition, a tripod enables you to maintain image stability even when shooting form lower or upper angles, something that cannot be achieved by simply holding the camera. We have chosen some of the best tripods that you can use for starting a YouTube vlogging Video shooting . If you are using a 4K camera, here are some tripods that you can use for your 4K Cameras. Every scene has its perfect angle, you just have to find it. This job is much easier if you have already built the set and adjusted the lighting before approaching the shot selection process because it will allow you to know exactly where the camera should be. The camera position depends on a number of factors, including the video's aesthetics or the action that takes place in the shot, and you have to go through this process for each shot in your video. Hopefully, the tips we provided in this article are going to help you create better YouTube videos. There are hundreds of tricks you'll have to learn as your skills become more polished, but sometimes just paying attention to the basic rules of videography is more than enough to create a stunning video. Leave a comment and let us know which tips helped you the most or tell us which useful tips we failed to mention in this article.